Instantaneously acquire flags up to 450 yards away (with a ranging maximum of 1,300 yards) with the extreme speed and incredible range of the Bushnell Rangefinder. It beats guessing the distance and it means selecting the right club every time for you to use it and discover the better golfer within. 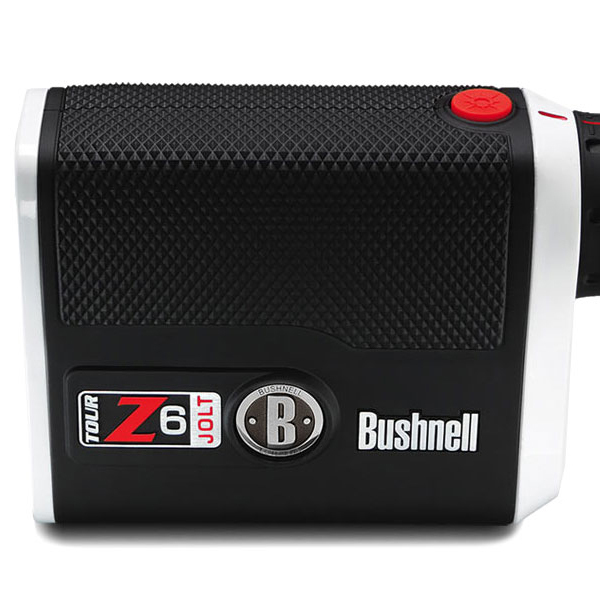 The Bushnell Tour Z6 JOLT Laser Rangefinder is Tour certified to give you the confidence to select the right club and get the right result! 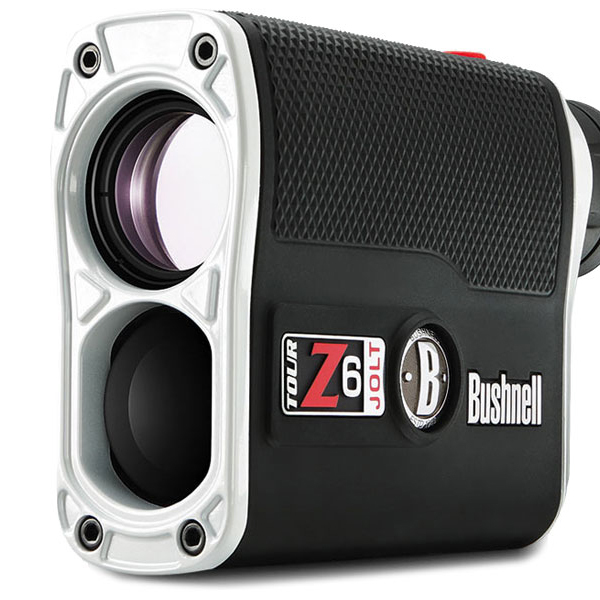 There`s a veritable wealth of technology in this Rangefinder to make your golf round easier. 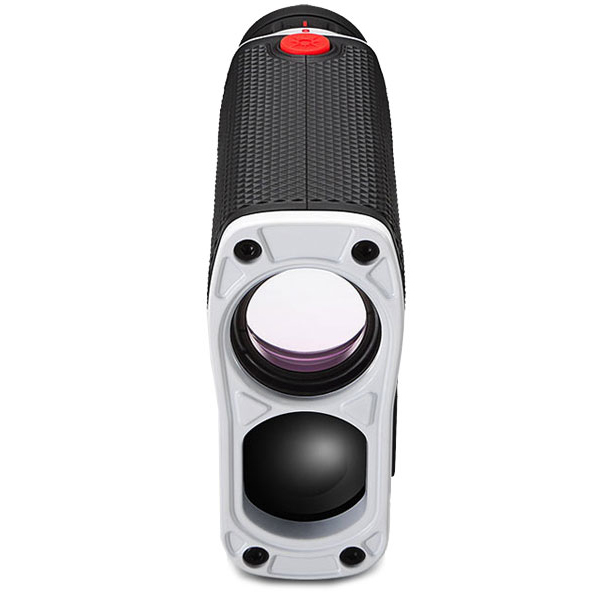 Starting with Vivid Display Technology, which dramatically improves the display for rapid, positive target identification in all lighting conditions, plus PinSeeker technology, which ensures accurate target acquisition by shutting out background hazards and isolating your target. E.S.P. 2 (Extreme. Speed. Precision.) 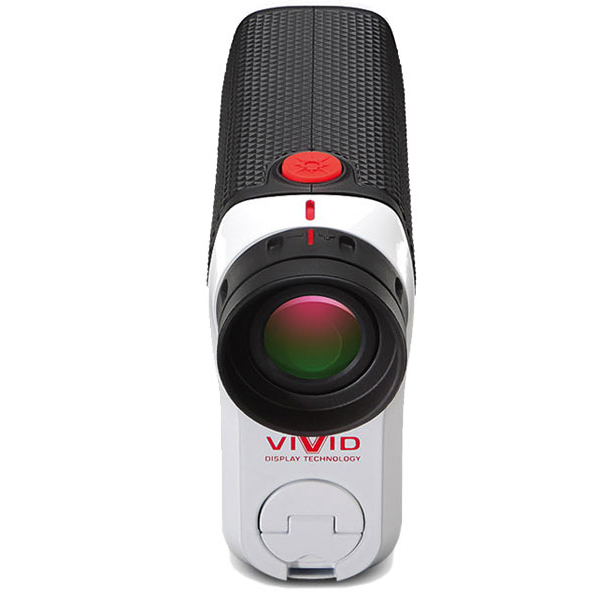 provides yardage faster and more accurately than ever before. From 5-125 yards, the distance is displayed to 1/10th of a yard. PinSeeker Technology with JOLT will allow you to get the exact distance to within 1 yard while you will receive short vibrating bursts to reinforcing you that the laser has locked onto the flag. Bushnell has worked hard on this design to give you a waterproof construction thanks to it's rubber armored housing, a posi-thread battery door and an adjustable diopter setting. 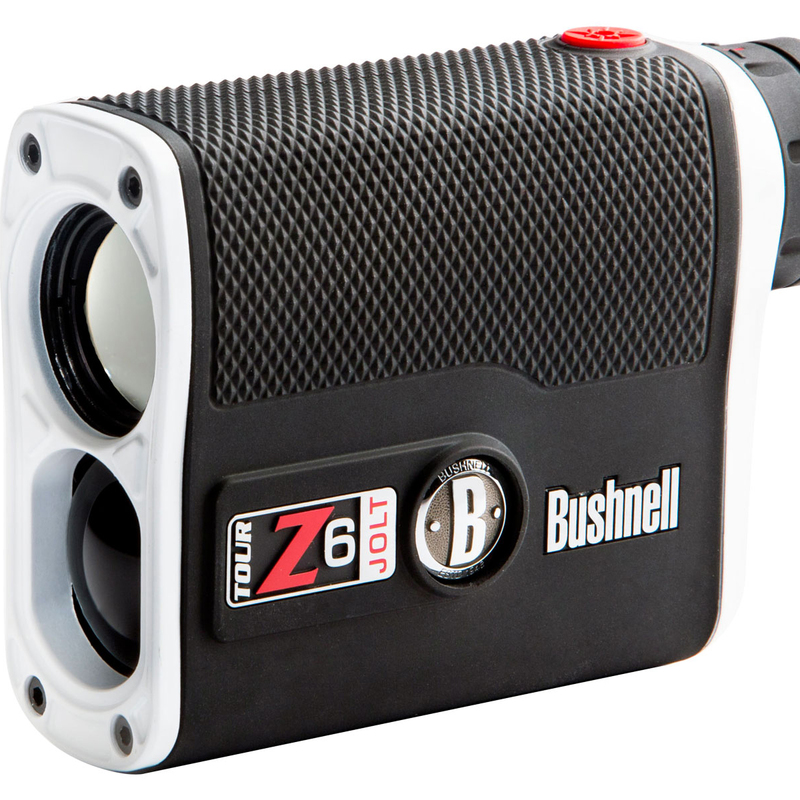 This rangefinder comes with a 3-volt battery and a premium carry case with a rubber armoured metal housing to keep your kit safe and sound.